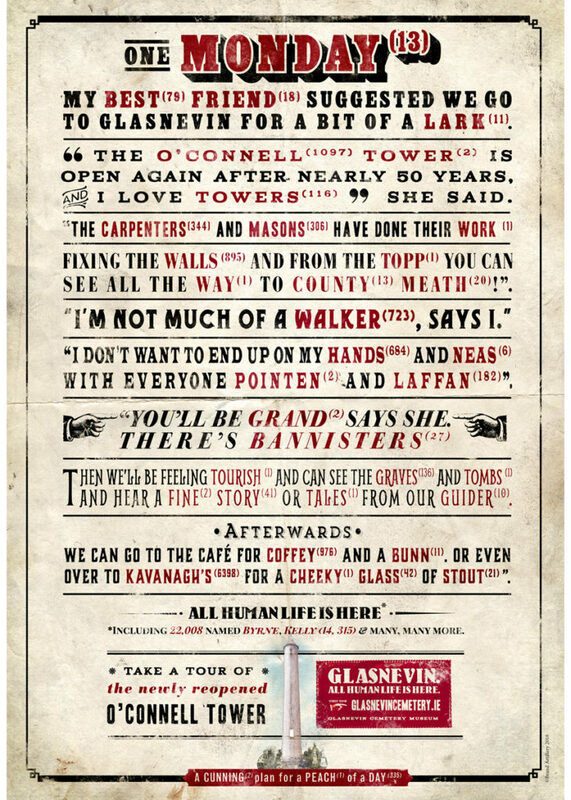 A companion piece to ‘Monday Story’ poster, another official poster exclusively created by Brand Artillery for Glasnevin Cemetery. 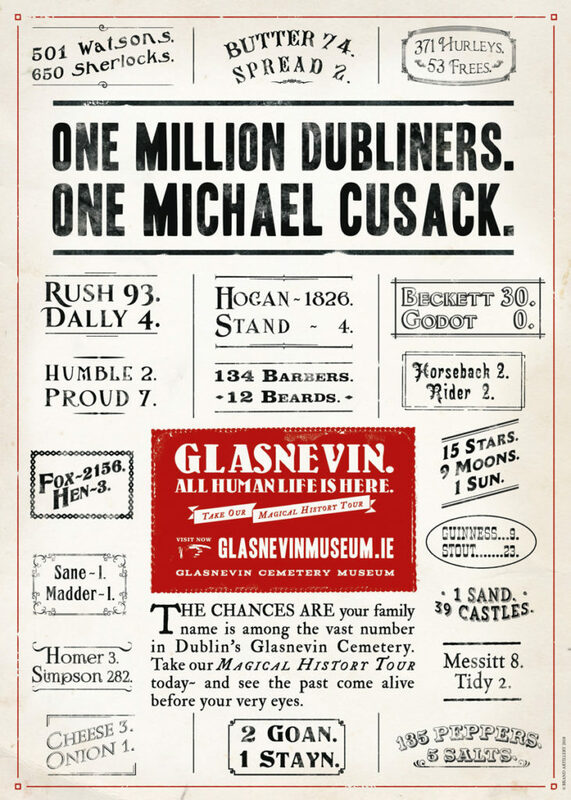 Printed lithographically on exceptional 170gm Munken Pure Rough paper, perfect for framing. 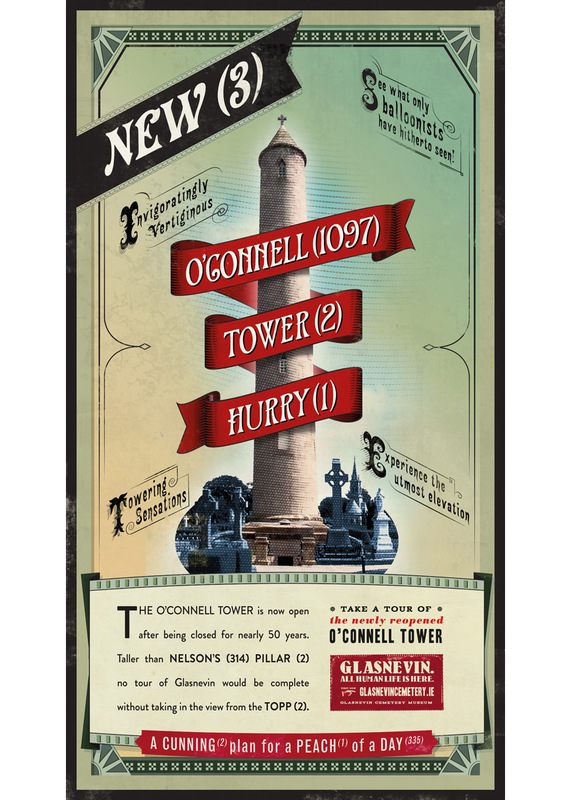 Another gem produced to mark the re-opening of the O’Connell Tower, this one derives from the ‘attraction’ posters popular in Dublin at the time the Tower was being built (1855), a time before the Eiffel Tower or the Statue of Liberty. Indeed, the view from the Tower at the time was one only otherwise possible from a hot air balloon. Printed lithographically on 170gm Munken Pure Rough paper. I was SO pleased when I opened this up. 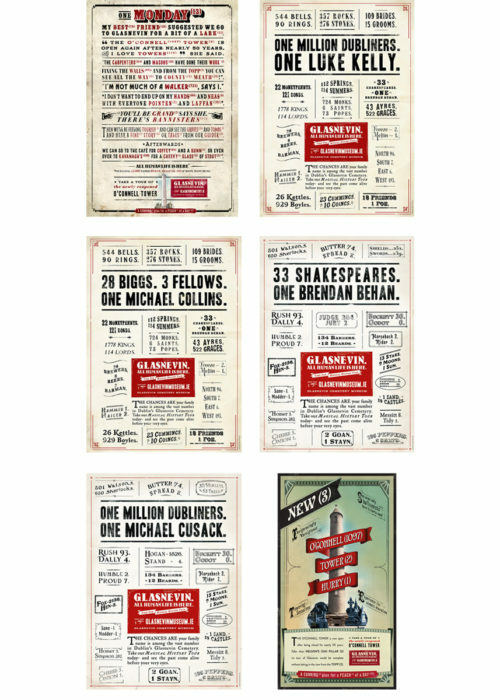 They’ve used too quality paper stock which really shows off the depth and texture of the design. Nice gift, although this one’s all for me!